Most of our patients at Mirelez Wellness Dental in Fresno brush their teeth (at least we hope so). However, there are many who brush improperly but don’t realize that their dental hygiene practices may be contributing to oral problems. They may pride themselves on their daily dental hygiene, but frequency does not make up for an incorrect technique. One of the most common errors—especially for teenagers—is quick, aggressive teeth cleaning with a hard bristle toothbrush. There is a certain logic to this treatment; when you want to clean smooth surfaces like bathroom tiles, you scrub with a hard brush, right? The difference is that teeth and gums require a certain finesses. While enamel is strong, the soft tissues in the mouth are not designed for intense scouring. If you use hard bristles against possible cavity makers, froth at the mouth, speed through those 30 inches of tooth surface, and spit everything out in less than a minute, this post is for you. 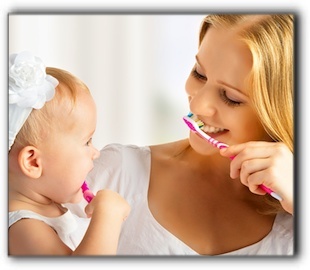 At Mirelez Wellness Dental in Fresno CA, we promote dental health via smart brushing. We are a holistic practice, providing family dentistry. Make an appointment with us today.